Do you ever think to yourself that your general skincare regimen is a bit lackluster? Decent, maybe, but not as good as it could be? Maybe your skin is soft enough, but has some dry areas. Maybe you suffer from minor discoloration and a dull complexion; not the end of the world, and you can correct for it with makeup, but wouldn’t it be nice if you could just solve it permanently? 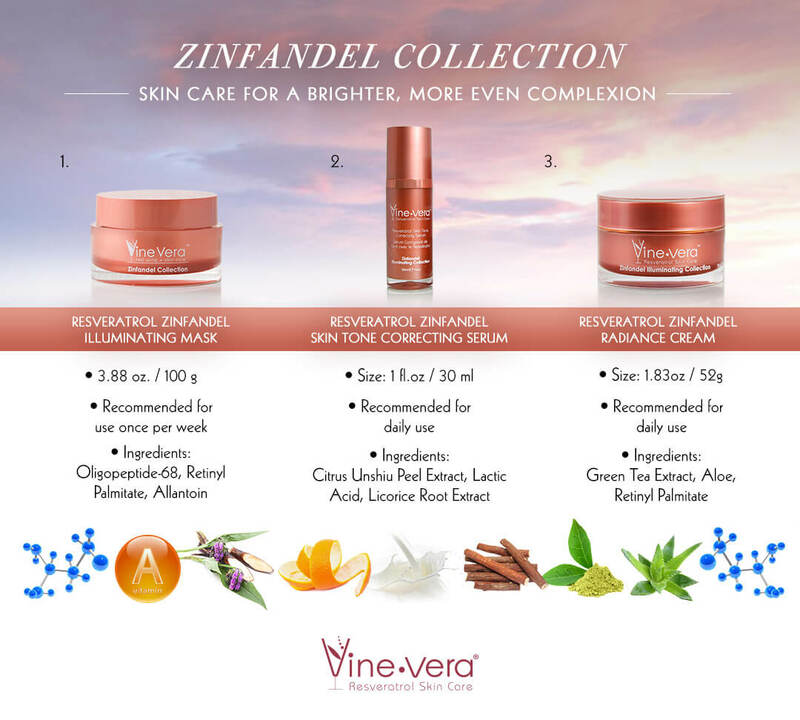 Vine Vera’s Zinfandel collection can elevate you basic skincare routine from mediocre to stellar. With consistent use, it will can help give your complexion a brighter look, solving an all-too-common set of skin issues and keeping you looking youthful and radiant all day. Check out the collection and see for yourself everything it can do for your skin.